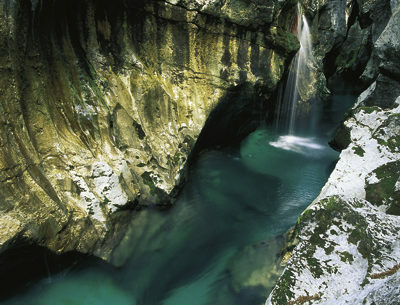 Walk the path of World War I soldiers to one of the most beautiful and unspoiled valleys in Europe – The Soča Valley. The Battles of Soča river were a series of 12 battles between the Austro-Hungarian and Italian armies in World War I mostly on the territory of present-day Slovenia. 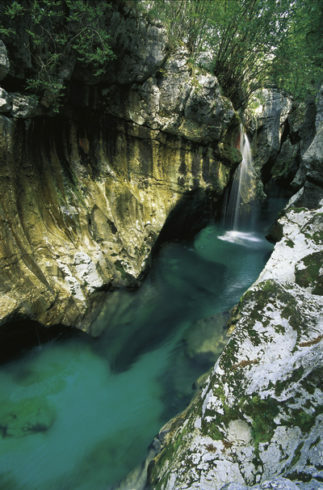 The tour starts with a visit of Italy’s largest war memorial in Redipuglia, continues up the breathtaking scenery of Soča valley to the town of Kobarid, where we first visit the Kolovrat Open-Air museum and a view point. A cross-border museum with an amazing view of the Soča Valley, preserves the memory of the third defence line of the Italian Army during the Isonzo Front. The third defence line during the First World War was on the Kolovrat Ridge, which offers incredible views and connects the Italian Friuli Region with the Soča Valley. The lookout spots, the firing trenches, the artillery positions for machine guns and the caverns are particularly interesting due to various details, such as the spiral staircase in one of the caverns and partly due to the original use of materials in the wartime. Fans of the alpine scenery will be able to get fantastic views from here. They open up over the former battlefield of the Isonzo Front, all the way from the Kanin and Krn Mountain Range to the Friuli Lowland and the Adriatic Sea. Afterwards you visit the world war museum in Kobarid. Kobarid Museum displays exhibits on the events that occurred during World War I on the Soča- Isonzo Front. The described events are related to the adventures and memories of celebrities, among whom are Ernest Hemingway, Erwin Rommel, Arturo Toscanini and Benito Mussolini. Kobarid Museum has received the highest national award, was proclaimed Best European Museum, and won the Council of Europe Museum Prize in 1993. Tour includes entrance fees to Kobarid WW I museum with private guide,visit of Italy’s largest war memorial in Redipuglia and Italian Charnel house, visit of Kolovrat mountain WWI Open Air Museum, Soča-Isonzo valley orientational drive, roundtrip transportation, English speaking guide/driver on the tour, VAT, and insurance.